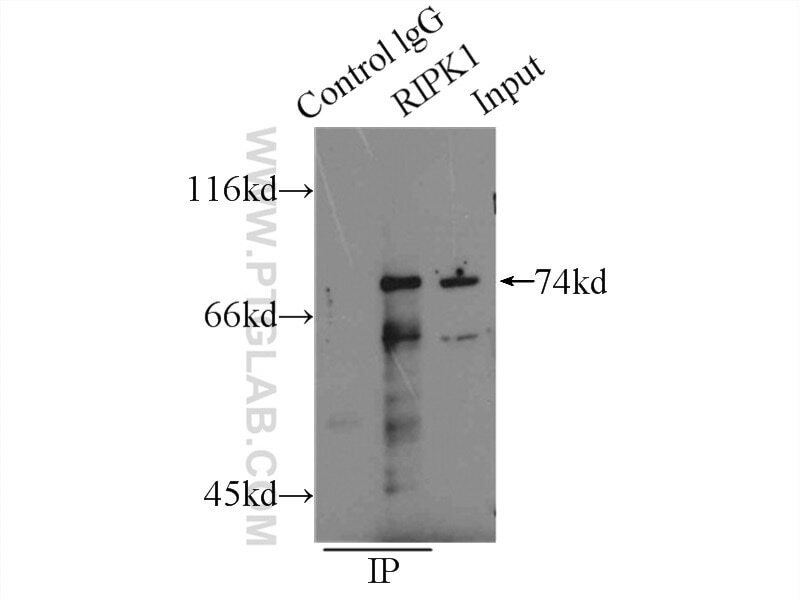 IP Result of anti-RIPK1-Specific (IP:17519-1-AP, 4ug; Detection:17519-1-AP 1:300) with HeLa cells lysate 2000ug. 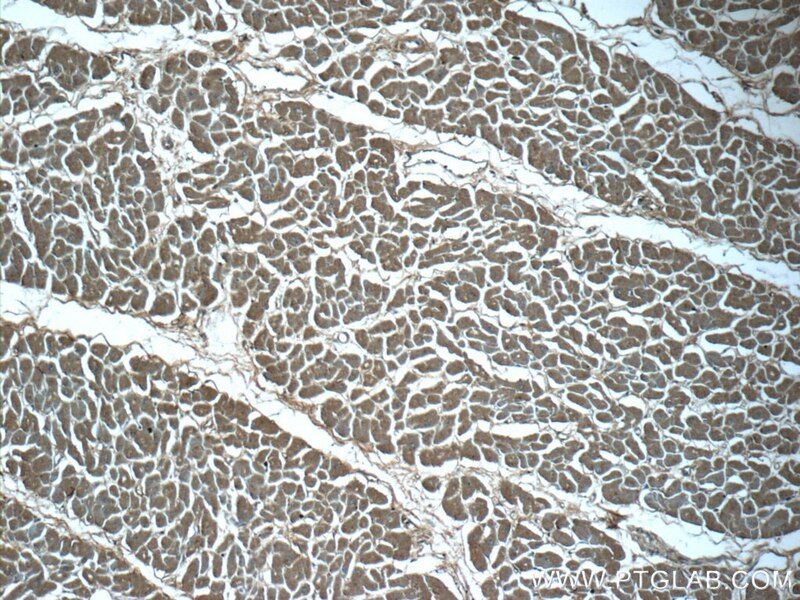 Immunohistochemical analysis of paraffin-embedded human heart tissue slide using 17519-1-AP( RIPK1-Specific Antibody) at dilution of 1:200 (under 10x lens). 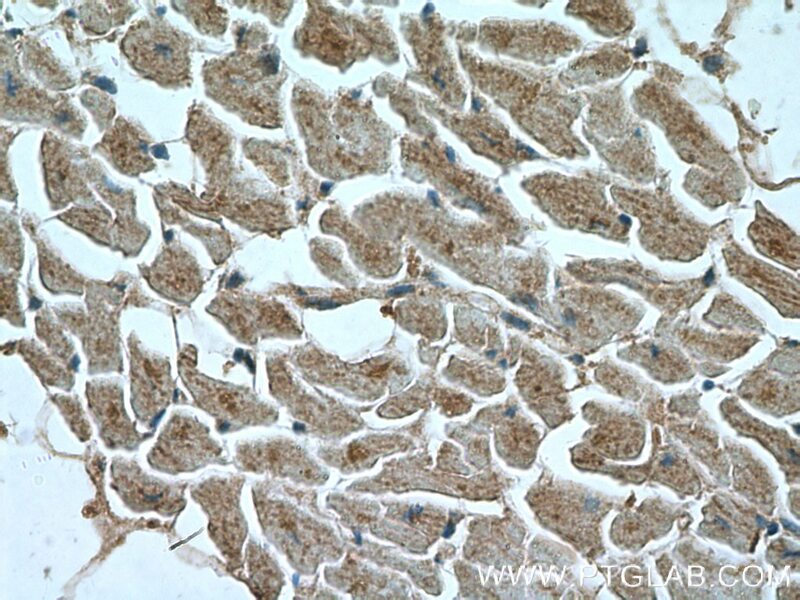 Immunohistochemical analysis of paraffin-embedded human heart tissue slide using 17519-1-AP( RIPK1-Specific Antibody) at dilution of 1:200 (under 40x lens). 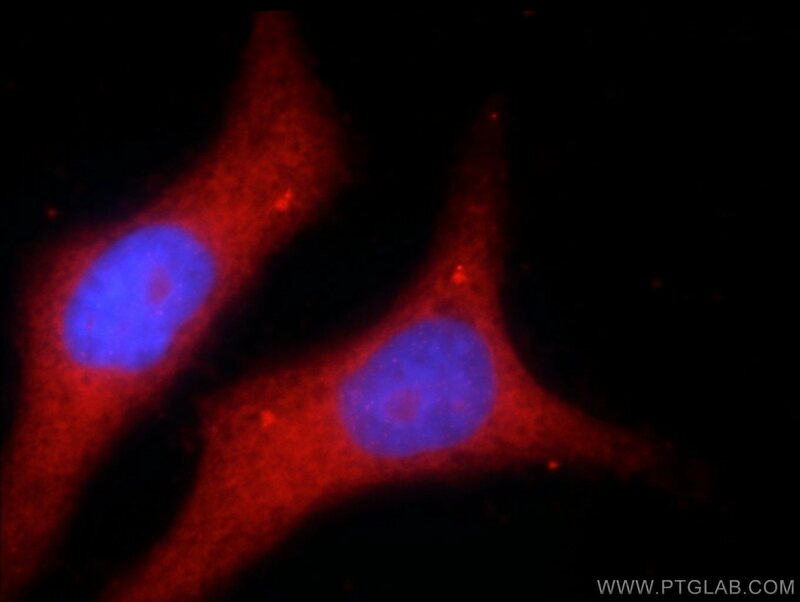 RIPK1(Receptor-interacting serine/threonine-protein kinase 1) is primarily involved in mediating TNF-R1-induced cell activation, apoptosis and necroptosis and belongs to a novel class of kinases thatfunction in cell survival and cell death mechanisms(PMID:22685397 ).It has 2 isoforms produced by alternative splicing.It also can exist as the protein with lower molecular weight about 25kd and 45kd in HAEC and HUVEC(PMID:22685397). 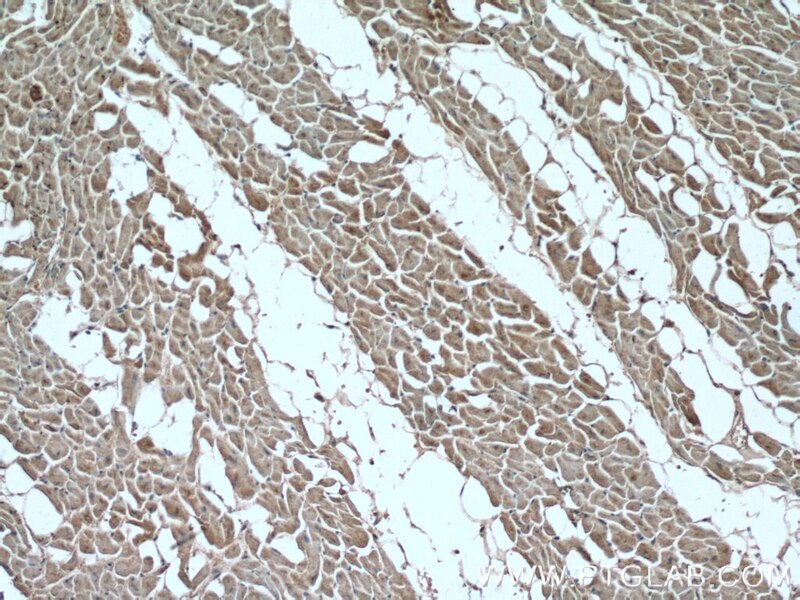 Type I collagen gel protects murine fibrosarcoma L929 cells from TNFα-induced cell death. Nicotine Induced Murine Spermatozoa Apoptosis via Up-Regulation of Deubiquitinated RIP1 by Trim27 Promoter Hypomethylation. 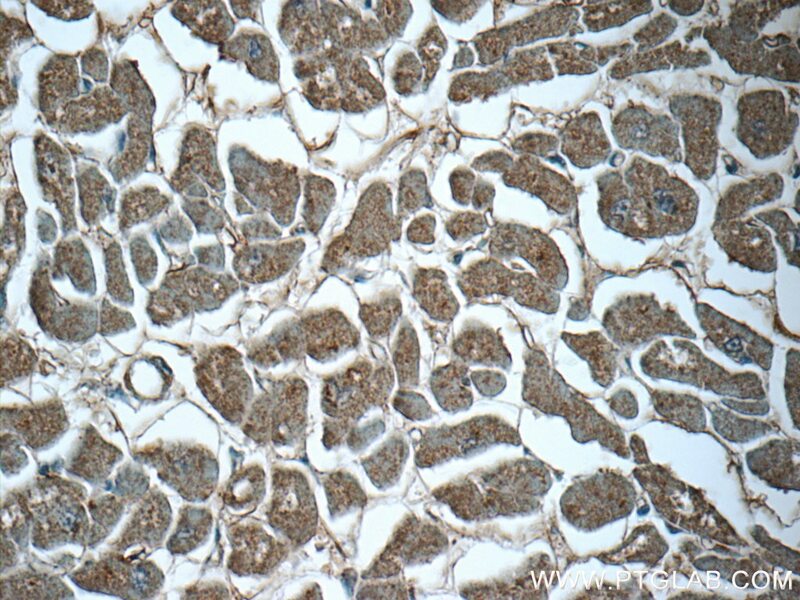 Gelatin promotes murine fibrosarcoma L929 cell detachment and protects the cells from TNFα-induced cytotoxicity. The ORF3 Protein of Genotype 1 Hepatitis E Virus Suppresses TLR3-induced NF-κB Signaling via TRADD and RIP1. Nrf2 Knockdown Disrupts the Protective Effect of Curcumin on Alcohol-Induced Hepatocyte Necroptosis.